Allihn style reflux condenser with a plain tubulation at the top and detachable hose connections. 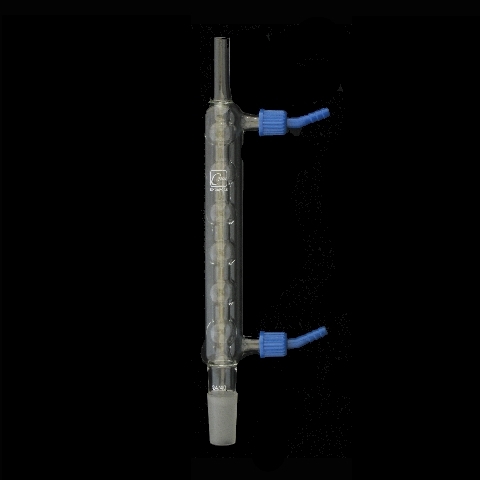 Connections are made of polypropylene and provide a safe and easy way of connecting and disconnecting flexible tubing to the condenser. Hose connections have an O.D. of 8mm and an I.D. of 4mm. Supplied complete with two open top screw caps. Length of jacket 200mm. Inner joint 24/40.